This week I am doing something a little different… I’m going to add some photos I recently took. Now, this is probably the first step in some artwork that I’ll be creating from the photos. 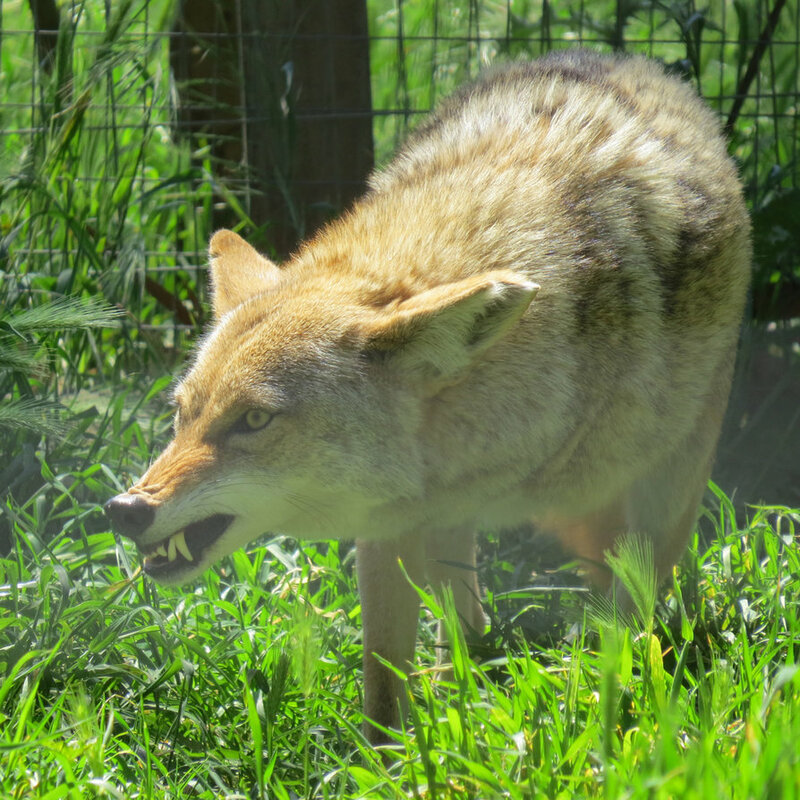 I plan to at least sketch these two images of the coyote snarling. I’m very happy that I was able to capture this behavior, and fairly clearly too. He was telling the other coyote to stay away from his food. 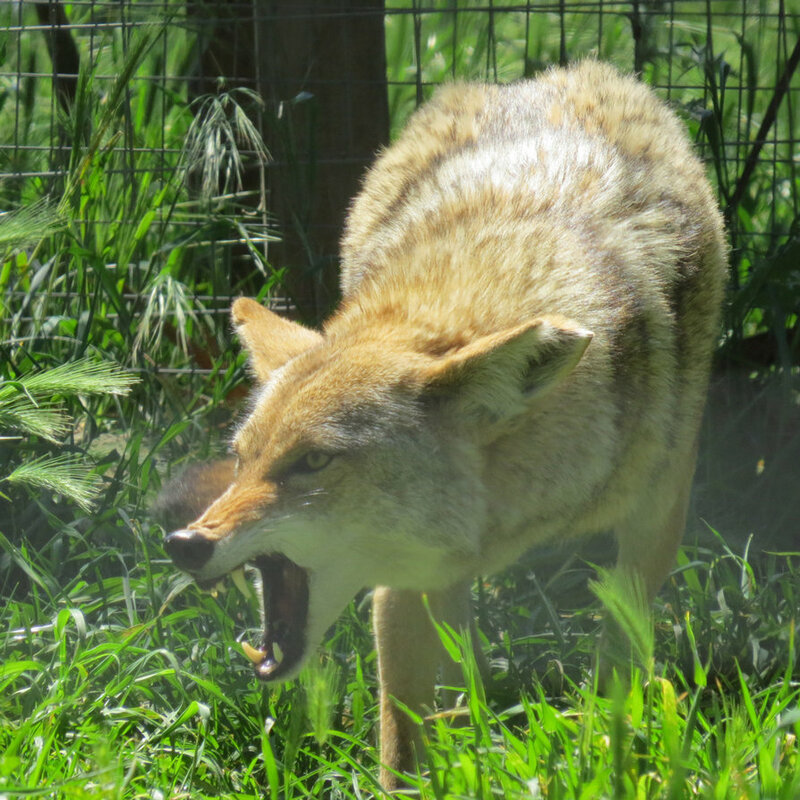 This coyote’s named Wilie, and he is a permanent resident of the Sonoma County Wildlife Rescue Center. As you might have noticed, he only has one front leg. What a scary little snarl! Such beautiful animals. I didn’t notice the leg missing until you said something. Where is the Sonoma County Wildlife Rescue Center? Can anyone go and look at these animals? If so, I’d love to! so cool. They are located at 403 Mecham Rd, Petaluma. They have public tours on Saturdays at Noon and 2pm. Best to call before for availability, and they ask for a $5 donation for adults and $3 for kids.